Click on the image to access Angela’s Ashes on Goodreads. This was my hour of power summer—meaning I packed my summer full of an hour each day (sometimes more) of powerful 20th century and modern day classics—and I’m proud of myself. I’ve not only read more than a handful of wonderful novels, I’ve viewed their movies or listened to them performed, read what other authors have written about them, and read or listened to interviews of their authors. Whether memoir or fiction, they all fell under the theme of personal discovery. Written with bits of tragicomedy and amazing poignance, Angela’s Ashes followed this theme too. Frank McCourt, the child of Irish immigrants, takes you back to his early beginnings (circa 1930) in New York. Barely more than a toddler himself, he was tethered to a hopeless situation in which he had to care for his three younger siblings, a toddler and nursing twins, while his mother lay bed-ridden during and after childbirth. His father was mostly absent save for the few times throughout the early part of the novel when he sobered up enough to pop into their lives and stir up hope and wretched emotion. Suddenly the baby, the only daughter born to the family dies, and McCourt’s parents decide to move back to Ireland. This was at the height of the depression, but the family did not survive America long enough to benefit from Roosevelt’s new deal. They headed back to Ireland in a feat of bad timing, and if one could imagine going from New York ethnic slum depression era bad, to Irish poverty begging and on the dole worse, then this was it. McCourt exposes a plethora of social ills: alcoholism and miscellaneous other isms, class disparity, the tensions of war, Catholic hypocrisy, poverty, woefully oppressive headmasters, and depression (or what we’d currently diagnose as clinical depression). The latter interested me most. McCourt laments on how his father failed his responsibility to the family, but arguably his mother was not up to the responsibility either. To McCourt’s credit though, he never paints her actions (or lack thereof) in this light. It could just be that his focus was not to show this side of her. However, with the little information he gives of her, one could infer that she was stuck in a cycle of depression that had her almost frozen by her circumstances. It seems hard to explain things otherwise, but here I’m digressing from McCourt’s Angela and projecting my own feminist desire to see her fight back. It’s hard to decipher whether she was a victim of depression exacerbated by poverty or vice-versa? Considering the roles of women and societal expectations of this era, and considering old-world mentality and the limitations imposed upon women in particular by the Catholic Church, I can only posit that she didn’t have a way to even begin to imagine options outside the box. The fact that Frank McCourt names the book after his mother, Angela’s Ashes, is testament to her importance in his life and to this story. Her presence, like a cornerstone, is strong, quiet, and constant. Although McCourt spends quite a bit of time illustrating his father’s influence, it in no way upstages hers. However, he mentions little of her daily activities. In fact, from McCourt’s description, we see that she is in the home when not foraging for a way to get assistance (the dole or begging) for her family. He characterizes her as proud, but not foolishly so, meaning she will reluctantly take credit or food from the grocer, friends, and family. McCourt describes the squalor they live in, but he doesn’t detail much of her remedy to this other than her moving them up to the more livable “Italy.” We know that her one indulgence is the occasional tête-à-tête with Bridey Hannon and smoking, but poverty keeps her from enjoying either too frequently. So, why is the memoir called Angela’s Ashes? You could attribute the ashes to metaphor. Are they all that Angela has lost? Like so many ashes from a cigarette, her children, her hopes, and opportunity all lost along with her husband’s wages. 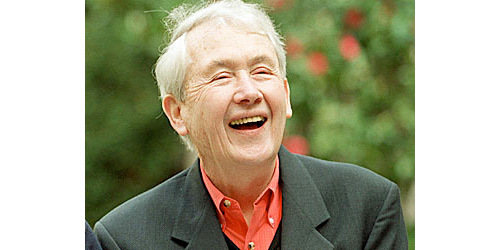 With a little investigation though, I learned that Frank McCourt wrote a book that followed Angela’s Ashes, called ‘Tis. It picked up with McCourt’s return to America and his commitment to bring his brothers and mother to there too. McCourt admits that he’d originally conceived both Angela’s Ashes and ‘Tis as one book. He reminisces, saying the titles would have been better switched. AngeIa’s Ashes more aptly refers to the latter book in which McCourt returns to Ireland to scatter his mother’s ashes over the graves of her ancestors. McCourt does a masterful job of showing his desperate situation has a silver lining. He shows how children see joy and humor in small things—children equal hope–and McCourt reminds us to nurture that with every word. Enjoy Frank McCourt’s Angela’s Ashes like I did by downloading his audio book. He performs it in his own inimitable way which is both heartwarming and humorous. Follow along in the physical book, because you’ll want to experience every word and spelling from Cuchulain to omadhaun. Then, treat yourself to the movie—as with any book, the movie is a completely different experience, but it’s artfully done and will have you laughing through your tears. Thanks for this fantastic review. I read this book when I was at college studying for my A-Levels in English Literature. It was a moving personal account of a child’s love for his mother and the suffering he and his siblings endured alongside her, especially when his father squandered the family’s wages on drink. The film was just as moving. I have both this book and “Tis” on my bookshelf as classics that I will never soon forget. Thanks for reminding me of this personal favourite! Blessings!